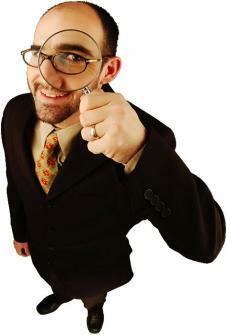 "I had gotten outrageous quotes from other SEO companies to optimize my website that I could not afford. With your company's expertise, my site began getting great search traffic in just 2 weeks. You could be charging much more! "You got our company website ranked on the front page of Google for 42 different keywords in just 2 weeks! Most of those were either in the #1 or #2 position! Unbelievable!" You can have front page advertising on the two BIGGEST search engines in the world, Google and YouTube through our targeted marketing efforts. Our results are 100% MONEY BACK GUARANTEED, not just promised. Affordable? Absolutely! For less than the cost of a 3 line ad in any local newspaper, your business can be found on the front page of Google for the most profitable search words and phrases that are most relevant to your business. Get new customers from people who are actively looking for your business! We Are Google Certified Partners! "I tried three other search engine optimization company's, (name withheld), (name withheld), and (name withheld). Yours is the ONLY ONE who actually delivered what they said they could!" Connect with new and potential customers instantly! More than 90% of text messages are opened within minutes. Send coupons, discounts, special offers. 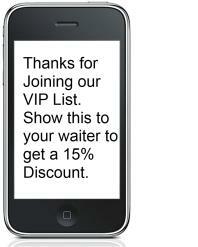 Mobile subscribers WANT to recieve your offers. Mobile coupons are redeemed at a rate 10 TIMES that of print coupons! Affordable. Only a fraction of the cost of print advertising. Ease of operation. We do ALL the work.